As I’m accustomed to having showers instead of baths, I’ve developed a bit of a penchant for buying shower products! It may not be the most exciting purchase, but for me choosing a nice shower gel is just as important as buying the right shade of blush or foundation. 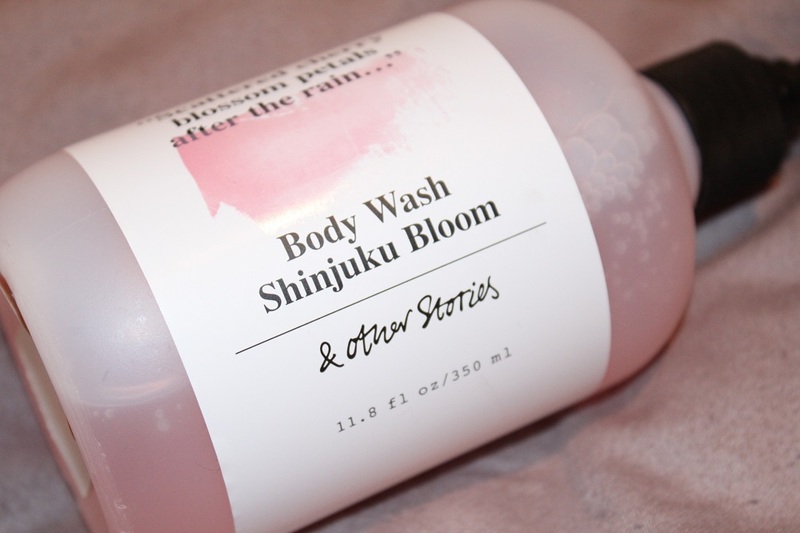 In recent weeks I took a trip to the much talked about store, & Other Stories and of course I couldn’t leave empty handed so came away with the & Other Stories Shinjuku Bloom Body Wash.
First of all, I really like the packaging of the & Other Stories body washes as they have a convenient pump dispenser. I actually have a thing for pump dispensers because not only are they hygienic it’s good for controlling how much product you’re using, which is essential for someone like me who can easily use too much product in one go! 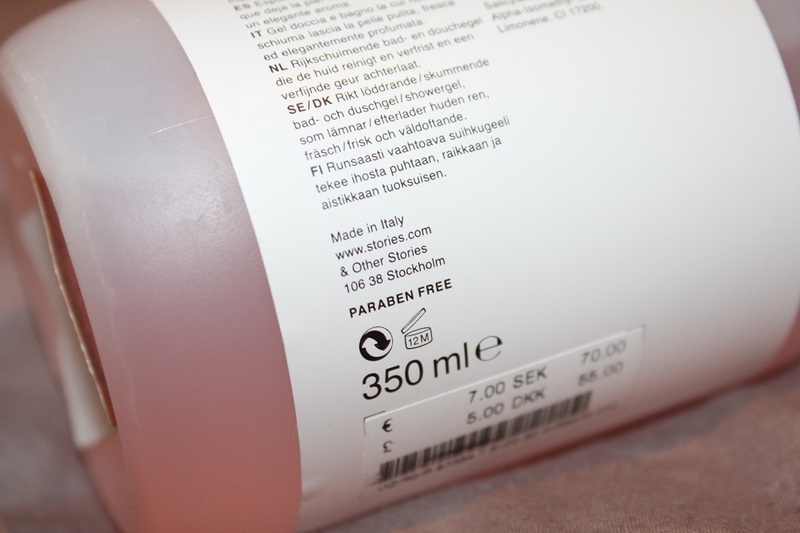 It’s also paraben free which is becoming more of a regular occurrence from brands, which is a positive thing to see! 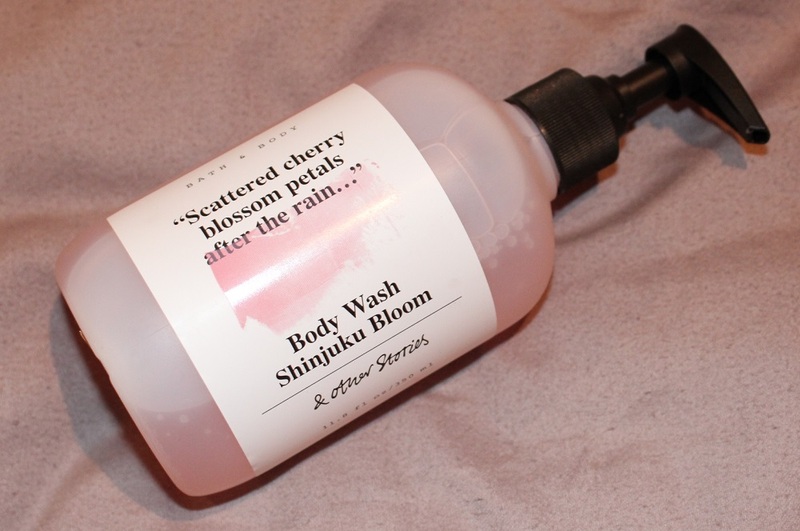 The sweet smell of the Shinjuku Bloom Body Wash is made up of a strong cherry scent mixed with cistrussy orange and I feel refreshed everytime I use it. I find 2 pumps is just the right amount for a shower and it lathers up reasonably well when in contact with water, although personally I think this could be improved. Minute criticisms aside, I do like this shower gel and £5 for 350ml is pretty reasonable as most bath products tend to be around that price these days! Have you bought anything from & Other Stories? 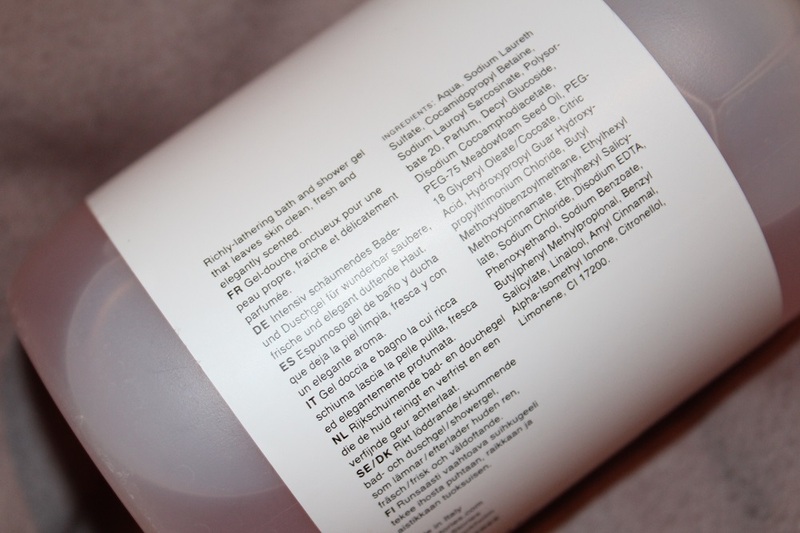 Have you tried the shower gels?